While I'm preparing to leave for France to spend the holidays with family and friends, I thought to leave all of you this photographic greeting from Grand Central Station. 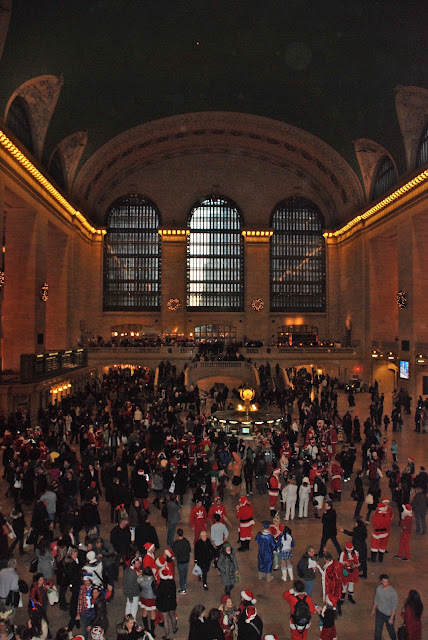 Yesterday was the opening of the new Apple Store there, and today I decided to go to the station to photograph the bunch of "santas" all congregating there. Once again, happy holidays to all! The last one is so nice. Happy holidays! Happy holidays for you too!! Nice pics!! !New York must be such a beautifull city during Christmas time!!! I wish I could go one day of vacation to anywhere in USA.